DTL is a public-private partnership of more than 50 Dutch life science organisations. It acts as a network of professionals that jointly improve the Dutch life science research infrastructure, with a focus on accessible high-end technologies, FAIR data treatment, and expert training. Subscribe to our newsletter to learn about the latest developments in the DTL community. 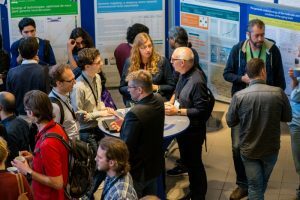 The 5th Dutch Bioinformatics and Systems Biology conference will be held on April 2-3 in Lunteren, the Netherlands. Abstract submission for the conference is open! Technology Hotels are expert groups that offer their high-end technologies and expertise to researchers. Find a Hotel, apply for funding, or become a Hotel. Modern life sciences call for advanced data and technological expertise. Find a course, submit a course, or become active in our training network. The FAIR Data principles act as an international guideline for good data stewardship. Find FAIR Data expertise, tools, training, and projects. DTL acts as the Dutch node of ELIXIR, the European data infrastructure for the life sciences. Read about the platforms and use cases in which ELIXIR-NL is active. Adequate data management has become a crucial part of research in the life sciences. Find data management knowledge, tools, and training. DTL and its partners are actively involved in several large-scale research infrastructure initiatives. Read about Health-RI, Bioscopy, X-omics, and more. DTL is organised as a public-private partnership. Have a look at the list of DTL partners and read how your organisation can join us. DTL Interest Groups share best practices and promote collaborations. See which groups are active and read how you can join.